Want to hear some good news? The Samsung Series 3 laptops, the ones being touted as “everyday use” laptops and come with either a 15.6″, 14″ or 12.1″ display and Intel’s new Sandy Bridge Core processors, are now available for purchase in the United States! The 15.6″ Samsung Series 3 model for the U.S. market is known as the NP300V5A-A03. 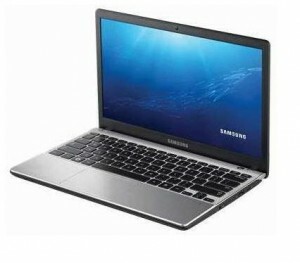 This device comes with the second generation Intel Core i3 2310M processor as well as 500GB of hard drive space. The 14″ version NP300V4A -A01US also comes with the second generation Intel Core i3 processor but increases the hard drive space to 640GB. Rounding out the trio is the 12.1″ NP350U2B-A01US ultraportable laptop. This device comes with the second generation Intel Core i5 2410M processor and 500GB of hard drive space. All three of the Samsung Series 3 laptops come with Intel’s integrated graphics, 4GB of RAM, 500GB or 640GB of hard drive space and a 1366 x 768 screen resolution. A DVD burner is present in the 15.6″ and 14″ models, but not the 12.1″ , though the 12.1″ model does come with a more stylish design with silver palm rest and keyboard area, whereas the other two models are solid black. All three of these devices also come with chicklet-style keyboards as well as a 1.3 mega-pixel web cam, HDMI outputs, Bluetooth 3.0 and Windows 7 Home Premium for an operating system. What is probably most interesting about these devices is the price. Most laptop series see the biggest laptop as being the most expensive and the smallest the least. However, Samsung is doing just the opposite. The 15.6″ model comes in at an average price of around $585 with the 14″ model averaging $637 and the 12.1″ model averaging $750. But hey, if none of these pique your interest, then you might be interested to know that Samsung is also expected to release a 13.3″ version later on.